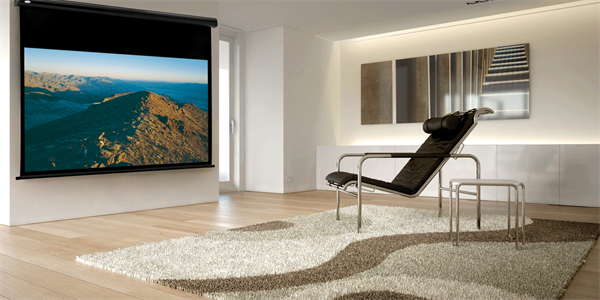 The Draper Euroscreen BlackLine Tab Tension offers a stylish projection screen with a black aluminium cassette, especially appreciated in home theatre environments. 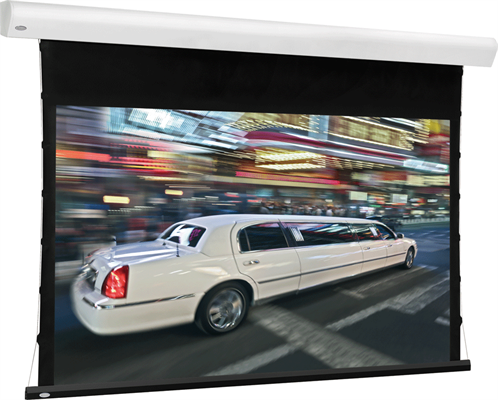 The black case together with the black framework of the screen surface works very well together and puts the focus on the projected image. 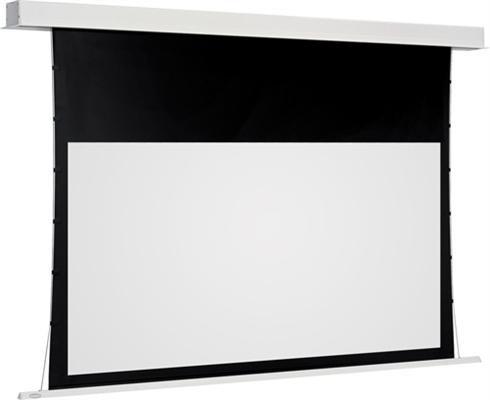 The Draper Euroscreen BlackLine is easy to install with its channel-fixed mounting feature, and it is suitable for both wall and ceiling installation. 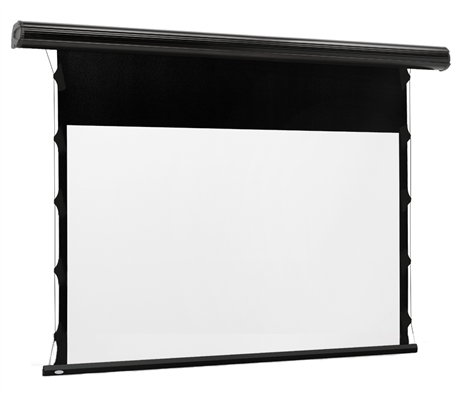 The tensioning system and the new extra heavy weight bottom dowel in black finish provides Draper Euroscreen BlackLine with a perfect flat viewing surface. The surface flatness can easily be adjusted after time if needed. 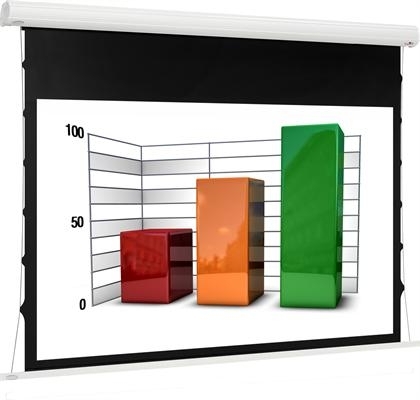 A perfect flat viewing surface is a must when high technology Short Throw projectors are used and also highly recommended for Full HD projectors.